I must love doing my taxes. This is the second time I’ve done them this year. My first tax attempt involved UFile Standard 2007, which I reviewed (and didn’t like to be honest). Since trying UFile, I’ve had a number of readers suggest I try StudioTax 2007. From what I can tell, the company behind StudioTax (called BHOK IT Consulting) is a tiny little shop of two developers located in Ottawa Ontario. Since StudioTax is free to download and use, I thought I should give StudioTax a spin. My first impression of StudioTax came from their website. To be honest, some of the advertisements look kinda spammy. A spammy website doesn’t really instill confidence in a product, especially one I am trusting to do my tax return. But hey, everyone needs to get paid, so I continued onwards (psychic advertisement aside). Downloading and installing StudioTax is a breeze. The software does not require a license key or code so a quick double-click on the program executable is all that is needed. 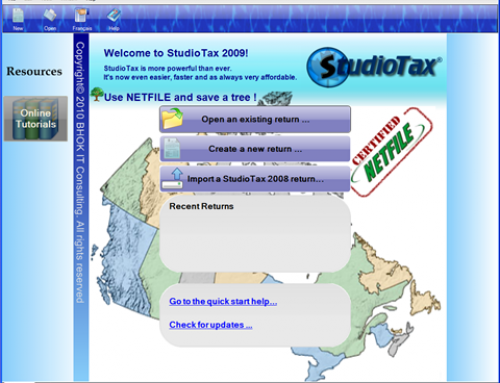 I should note that StudioTax requires the Microsoft .NET Framework Version 2.0 to operate. The installer provided a nice link, so the .NET installation was painless.Once the program launched, I was greeted with a very pleasant (and attractive) setup wizard. StudioTax’s setup wizard is really nicely done. I was able to install the software easily and right away gained confidence in using freeish tax software. Once installed, StudioTax displays a very easy-to-use dashboard window. PLUS: a handy toolbar (across the top of the window) is available for quick access to the wizard, validation tools, and forms. YAY! After marveling over the dashboard I clicked Create a new return and began my 2007 taxes. StudioTax provides a straightforward wizard to help the user enter basic CRA tax information. From what I can tell, it seems StudioTax cannot import user data from other tax software (QuickTax, UFile, etc.) and only supports their own .stx file format. This means I had to enter all my personal information (name, residence, SIN number, etc.). This is a minor quibble, but it would be nice to not have to re-enter all my infos. Another minor quibble I have with the StudioTax wizard is the page where I am to choose my T Slips. I must admit to being a little stumped on this page, wondering exactly which T Slips I should choose. Perhaps my confusion results in not having all my Slips yet (it’s still January). But it would really help to have a tip or very brief sentence defining each slip, so I can better understand if I need to select it. Nonetheless, I easily selected T4, T5, RRSP, and Medical Expenses. Moving through the StudioTax wizard is fast, easy, and painless. I actually had fun entering my T4, T5, and RRSP contribution numbers. When it came to enter my medical expenses I was resigned to entering a single number into one box. This is a bit of a pain for me since I have carry forward medical expenses from 2006 and I need to calculate the best 12-month period ending in 2007. Neither UFile nor StudioTax handle this calculation. Since I am dead against paying $40 bucks for QuickTax to perform this new math, I decided to just enter everything into an Excel Spreadsheet, and find the best (most expensive) 12-month period by hand. When the wizard is done, QuickTax brings the user to a review screen where all T-Slips are accessible and can be easily navigated or reviewed. My favourite part of this screen is the Tax Explorer pane (left hand side), where I can review all my entered amounts and see if I have a refund or a balance. I used fictitious numbers in this example. I must admit to be surprisingly impressed with StudioTax. The software is easy-to-use, attractive, fun, and affordable! Yes, I said StudioTax is fun! The user interface is simple to follow, easy-to-navigate, and the Online Help is written concisely. StudioTax offers simplicity with an easy-to-follow wizard, which basically holds the user’s hand and gets the job done. Certainly my return is pretty straight-forward as I’m a single foxy gal, with no dependants, some RRSP contributions, many medical expenses, modest interest income, and some capital gains. But getting my taxes done was seamless. I will definitely follow StudioTax to see when/if they get NetFile certified. Since learning of StudioTax a few weeks ago, I have highly recommended it to my family and friends. A few of my colleagues at work are smitten with it. None of us can believe it was developed by two guys (or gals?) from Ottawa. I had a feeling it might not handle you med expense calc. I suggest you write the guy who makes the program. I have asked him on occasion to add a few things or change things to ensure folks don’t make mistakes and was amazed when it was in his next release. Best give him your excel sheet so he can see your calc or explain how you calc it. Appears to be certified now. I’m still waiting for some T-forms, so I still have to wait before filing. StudioTax’07 and would certainly recommend it to individuals. + FREE and no SPAM advertising afterward. + Update feature, so it’s current. + Easy to install from either the .exe or .zip download. + Very easy to use and highly trusted. I always send a contribution ($15,00 or more for two returns) as it helps to calculate a higher refund than when I do it manually on paper. + Acccurate. I have used Studio Tax to NetFile my 2005 & 2006 returns with no questions asked by CRA. + I like the linked-to-spouse feature. + Double-clicking on a calculated amount box on a form shows where the calculation came from. + It gets better every year. – CRA (Canada Revenue Agency) must have your CURRENT address on file as submitted on your T1 General; IE: a change of address must be reported to CRA before NetFiling. – RRSP-splitting calculation is not automatic for best refund, but it handled my manual overrides well, displaying the changes in refunds for both partners almost immediately in the left “Summary” window. – Not all CRA forms are available from the “Forms” tab. Comments: Studio Tax handles none-complex returns very well; it does more than I would expect for FREE software. You really don’t have to make a contribution, but I’d recommend it if it gives you a better refund. 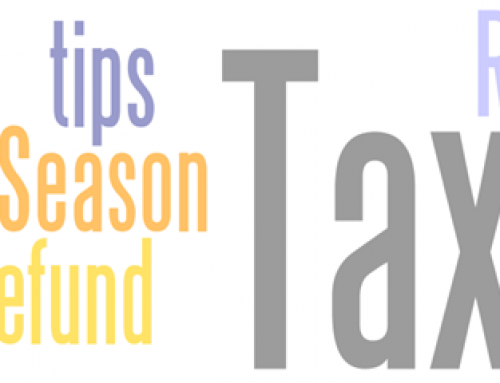 Flexible: If you don’t have all your tax forms when you first use the “Wizard”, just use the “Wizard” again at any timt to add them; all previous input is retained. I had to mail my 2007 return due to my change of address not being on file with CRA and simply used the “Print” tab to print off the 15 pages (double-sided printing) for mailing. I’m very happy with Studio Tax. It does everything I did with previous versions of paid-for software. Just don’t know why the gov’t doesn’t put out its own free version??? There must total return used summary to check while enretng new return. I installed Studio for the first time this year.. when I hit the wizard the page freezes on me and I have to hit ctrl alt delete.. and tell task manager to close the program.. What am I doing wrong.. What am I doing wrong.. and I entered some info not using the wizard, then went to Provincial ( I am in QC tried to enter a releve 1 could not enter amt.. not sure about this program or is it me. 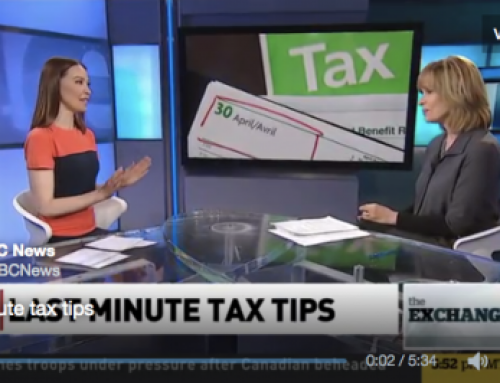 .I always have used quick tax.. I did download the Microsoft .NET Framework Version 2.0 BUT I did it after downloading Studio tax.. This year I’m determined to submit my income tax return online and use a free tax software. And I’m delighted to have found your review. I included your post as one of the additional resources for those who also dare to try the faster-yet-intimidating approach. The comments and experience found here will be of great help for a newbie such as myself in online filing. @Gardner Monk: because the tax industry is a significant part of the economy, and itself pays taxes; and because, as I see it, the government doesn’t really derive any benefit from developing and supporting such software themselves. @Hedley: have you gone through the support channels? Thanks, Kerry. Your review of StudioTax 2007 is top ranked on my google search. This seems like a very good offering – if you still use StudioTax why don’t you do a new review for 2013? I would assume that a lot of improvements have been made. I just finished preparing and filing my family taxes with the leading commercial product and am increasingly frustrated, so I am already shopping for next year’s software! Does anyone know why I cannot enter medical information on my dependants pop up box? I have also been told that I cannot claim childcare expenses unless I have excess amounts from Arts and physical fitness. Pop up boxes have not worked to enter the amounts for children under 18. I am so frustrated as this is the first year for me. I contacted StudioTax to speak to a person, but all they are doing is send me unhelpful responses via email. It is not as user friendly for a first time filer (online).